Home health begins with top-notch electric care. At Mr. Electric of Queensbury our electricians will make sure your space operates at its peak performance level. We will help you upgrade and improve your space, so it is more energy efficient and secure. We specialize in diagnosing, repairing and installing electrical systems for local homes and businesses from Bolton to Halfmoon, and all towns inbetween. Mr. Electric of Queensbury provides 24-hour service to Warren, Washington and Saratoga Counties, so you’re never left in the dark. Our friendly electricians will give professional recommendations to lighten up your life. A professional from Mr. Electric of Queensbury can update your home to meet your family's growing electrical needs. We're ready to repair any part of your existing electrical system and make updates and upgrades as necessary. We provide polite, uniformed electricians to residential and commercial customers. If you've got an electrical problem, we'll know how to solve it. Our attention to detail will ensure that you get high-quality work. When you want a custom lighting system design installed, we're the team to turn to for assistance. Our technicians are also knowledgeable about installing ceiling fans, carbon monoxide detectors, and smoke alarms. We offer our customers:24/7 emergency service, Free in-home quotes, dependable results. Our courteous technicians will respect your home and family. 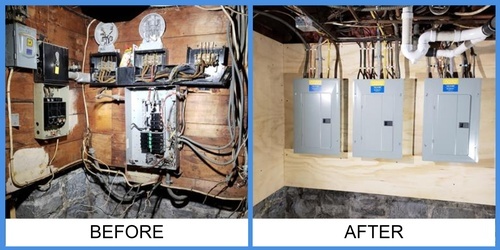 Contact Mr. Electric today to schedule an appointment with an experienced electrician from our team. We serve Washington, Warren, and Saratoga Counties.